Prototype: German Railroad, Inc. (DB AG) type DBpza 682.2 bi-level intermediate car, 2nd class, for long-distance service. 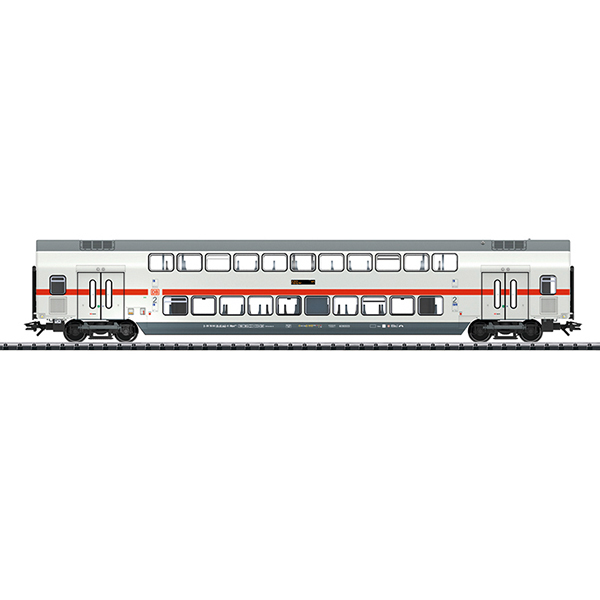 Light gray long-distance service paint scheme with "Traffic Red" stripes, in the current IC design. Train route: IC 2035 from Norddeich to Leizpig Hbf. Car position number 4. The car looks as it did in 2016.